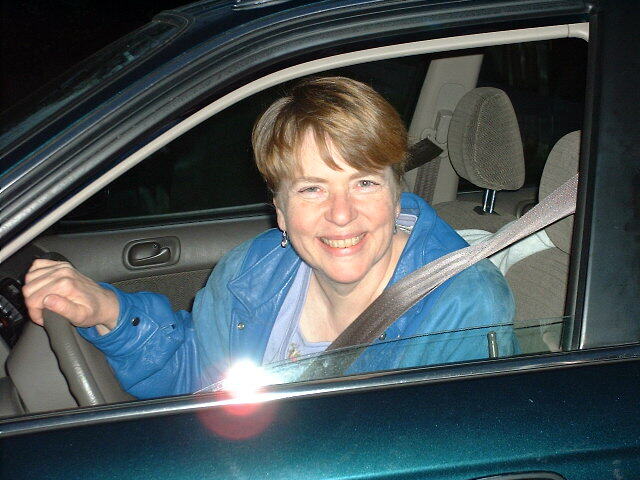 My beloved sister Kathi Simpson died Tuesday evening, January 2, 2001. On January 5 she would have been 56 years old. Kathi leaves two wonderful daughters and a terrific son, as well as two grandchildren, her parents, two sisters and a brother, and numerous nieces and nephews. Throughout her life, Kathi devoted herself to caring for others. As a child and young woman, she helped raise her younger siblings. She became a Special Education teacher, and then a psychiatric social worker. For virtually all of our adult years, she organized annual family reunions and brought the family together. She always expected to care for our parents in their old age. I got to see Kathi and her family at a family reunion in November, 2000. It was the first time that all five of us - my brother, three sisters, and I - had been together in many years. Our parents, their five children, my father's sister Bertha, sixteen grandchildren, two great grandchildren (Kathi's grandchildren), and several spouses and significant others were present. It was a wonderful, loving, and harmonious get-together. As Kathi was preparing to leave for the long drive home after the reunion, I took a photo of her which to me captures her bright, energetic, kind, sweet and gentle spirit. Kathi called me on New Years' day and we had a long and beautiful talk. She had ordered a new Mac computer as a birthday present for herself, and she was quite excited about its arrival, which was due the next day. She asked me a number of questions about upgrading her old PC; she had learned a great deal about software in the preceding months, and now was eager to learn about hardware by upgrading her old computer herself. Kathi was already an MSW, and she told me that she had decided to return to college and get her doctorate, so she could go into research. She felt that would appeal to her, since she already enjoyed research and often researched things on her own. She was also planning to develop her math and statistics skills. She was very excited about the prospects for her future. As she prepared to hang up the phone, Kathi told me that she loved me, in a way that made me really hear it and feel it. I told her I loved her, and I meant it. I am so glad I had these last, cherished opportunities to touch and be touched by my beloved sister before she departed this world. Go here to see Kathi's new Web site.